Last Sunday, just four days after a routine lung surgery to remove five small tumors on Summer’s right lung, something unexpected happened. Without warning, Summer suddenly lost the ability to move her right arm and right leg. These alarming symptoms led to an MRI of her brain, where five tumors were discovered. This came as a total shock to everyone, and especially to Summer, who thought she was one more lung surgery away from being cancer free. In the midst of this very distressing news, neurosurgeon Dr. David Sandberg came into our lives. He was brand new to MD Anderson, having just been recruited from Miami. His specialty? Pediatric brains. Summer would be his first case at MD Anderson. On Friday morning, Summer underwent a craniotomy to remove the largest tumor, the one that was causing all the problems. Hundreds of people offered well wishes and prayers. Donations poured into Team Summer; the one-day total astounded us – $10,000. Summer’s recovery from the brain surgery has been remarkable. Despite her doctors’ predictions that it would take two weeks to get movement back in her right arm and leg, Summer is already moving both. Yesterday she shocked the heck out of her neurosurgeon when she lifted her right arm and shook hands with him! Notice what’s on the doctor’s wrist? He is most definitely on Team Summer! On August 2, Summer will undergo a specialized, one-day radiation treatment called Gamma Knife, which will zap all four of the remaining brain tumors. Then, Summer will be back to being one lung surgery away from being cancer free, having gracefully maneuvered around this big bump in the road! I am so happy for Summer. She is a remarkable young lady and is an inspiration to everyone. Evidently nothing can hold Summer down. This young lady is a fighter and has so much love and support from family and tons of friends. Alabama is pulling for you Summer and love you and your family so much. 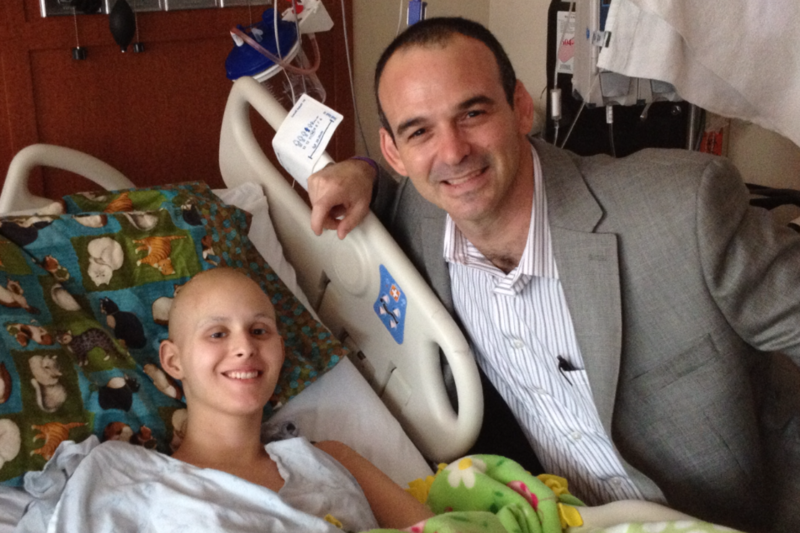 What a remarkable young woman with such an amazing will to get well and continue to help others! Prayers and blessings for Summer, her family and her doctors! Love this story!! Thanks for sharing this! Summer, you certaily don’t need me to tell you how awesome and awe inspiring you are…..But, YOU ARE! Keep up the fight, it will soon be over and you will be the winner! WOW!!! What an awesome addition to an amazing Team!!! We love you all so much! Summer, you’re incredible and strong willed. You, your family, and ALL the cancer patients you’re helping are in my thoughts and prayers. Praying for you everyday Summer!! Hey Summer…. Way to go! You show them!! All of us at KW are so incredibly proud of you and the strength you convey. Keep on believing…. we sure do! While I am grateful for the kind words about me, the truth is that I owe Summer and her family a debt of gratitude for inspiring me with their optimism, courage, and grace under the most difficult circumstances. Having spent a lot of time with Summer and her family over the past week, I can personally attest that Summer is an extraordinary young woman who comes from the warmest family. Team Summer is an amazing organization which will help many other kids fighting cancer. I encourage all to support it generously. Summer is an incredible young woman! She has shown how God works in the midst of trails. We should all find strength and encouragement through her, I know I have. Keep up the beautiful smile and “no holds back” spirit Summer! Love and prayers to you and your family. I see the power of prayer everyday…thank you for reinforcing the faith for everyone. There needs to be a “Like” button on here! Summer…I was just reading the latest post and all the comments and reflecting on all you have created with Team Summer in just a few short months. What an amazing story you have to tell. You have learned so much and taught the world about the power of grace in the process. I am so very proud of all you have created and I can’t wait to see where you take your organization and your gifts next. Bring it on home now, Summer! We’re settling down for the Olympics and no medals have been awarded, but there’s no question who has already swept the field and broken all the records – you and your family, that’s who. My favorite sound is hearing our national anthem during the Olympics and this time there will be a new mental image of the four of you up there, winning together. Strong thoughts and prayers from Atlanta and Northwest.